US leading acrobatics team UniverSoul Circus put on a performance in Chicago on Sunday, and one Chinese acrobatic troupe won applause from the audience. At the city's Washington park close to University of Chicago, an innovative acrobatic programe "pushing people," which was performed by 18 young Chinese acrobats from China's Shandong Province, impressed the crowd. "Chinese acrobats' 'pushing people' performance is really fabulous with high level. I cannot believe my eyes," Julie Brown from South Loop of Chicago told Xinhua. Among the Chinese acrobats, the youngest is only thirteen years old. They joined UniverSoul Circus since this March and they have already toured in more than ten cities across the United States. 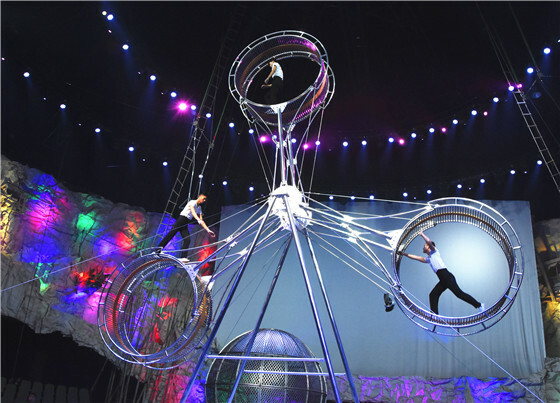 Margaret Wu, representative of China Arts & Entertainment Group (CAEG) which organized the tour of Chinese acrobats, told Xinhua that the Chinese acrobatic team has been cooperating well with UniverSoul Circus during the performance. Established in April 2004, CAEG has set up a development strategy of integrating cultural resources and promoting cultural exchanges. 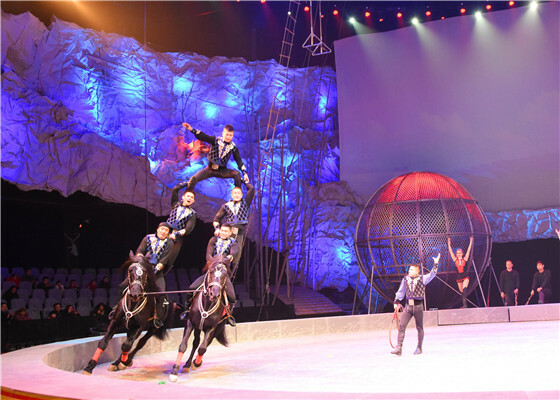 Since 2003, CAEG has cooperated with UniverSoul Circus in bringing different Chinese cultural performances in dozens of U.S. cities.